As an ex International Rugby Player I loved collecting rugby shirts from all over the world. I was lucky enough to collect shirts from 17 countries and my Dad kindly made a wonderful frame for me so I could display them on the wall. 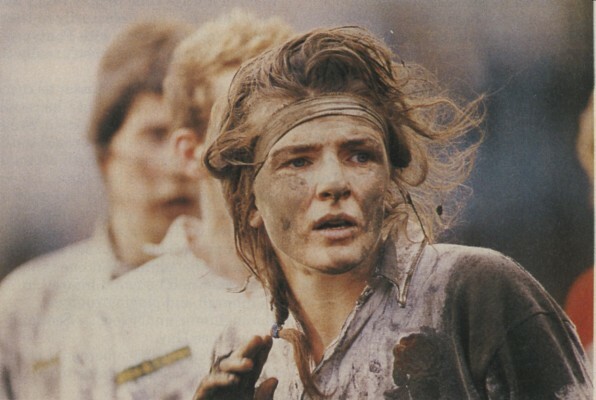 I also played in 4 Women’s Rugby World Cups, winning the title in 1994. My England shirts from those four tournaments were also put into a frame made by my Dad. Consequently my walls are full of rugby shirts. A couple of years ago my Mum decided to make 4 of my favourite rugby shirts into cushion covers – my Club shirt – Waterloo, my County shirt – Lancashire, my Divisional shirt – The North and finally an International shirt – England. The cushion covers looked lovely and everyone commented on what a good idea it was to be able to enjoy the old shirts and trigger happy memories in this way. Having recently finished working as a school teacher I decided to start a small cottage industry business and make bespoke cushion covers from sports kit for my customers. Should you wish to get your shirts made into cushions then please make sure you send them tome securely, I will make a unique cushion cover for you, retaining as many features from your shirt as I can. The shirt is cut to size and stitched with care. The shirt will be completed in no more than 3 weeks (generally much sooner) and will be returned safely by Royal Mail Special Delivery. Just imagine it – Your favourite kit, out on display again to remind you each day of those amazing memories that all good sportsmen and women treasure.